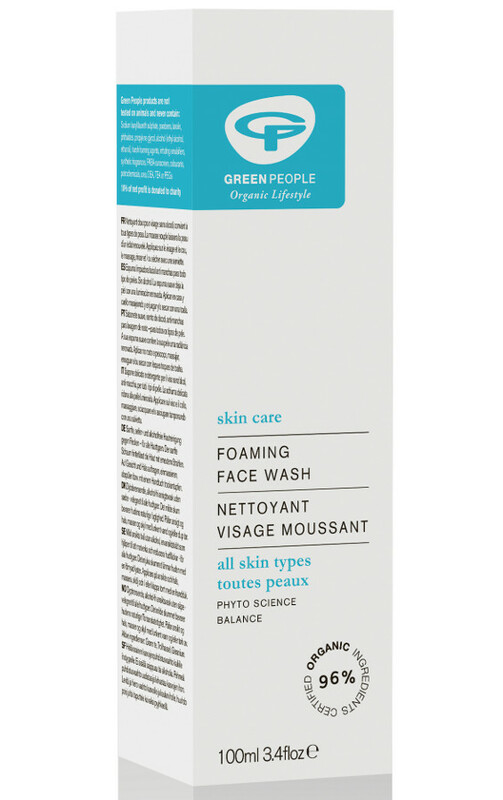 Natural anti-blemish, organic foaming face wash from Green People. 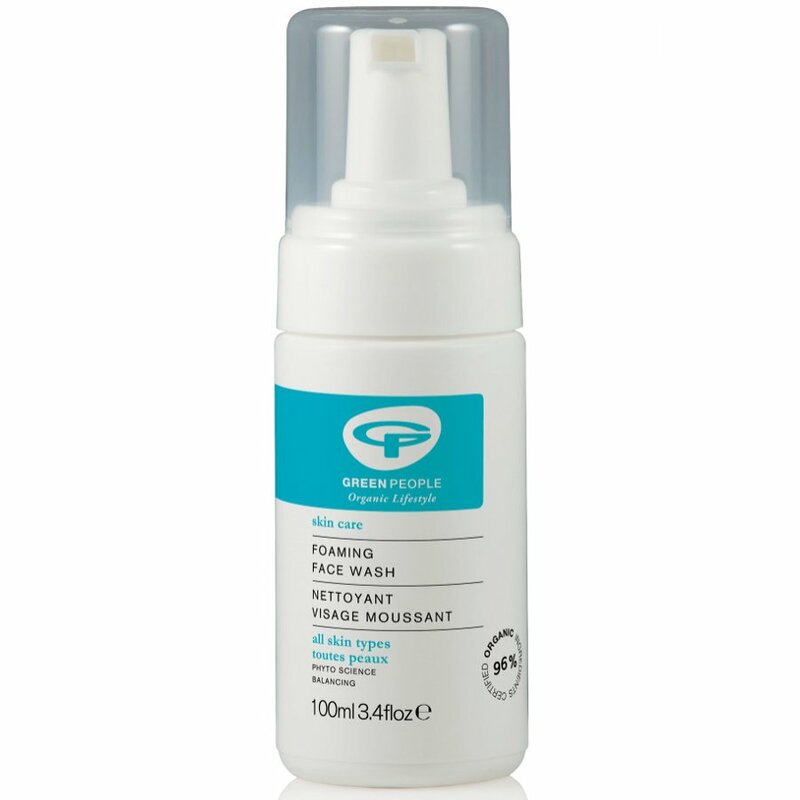 Suitable for all skin types this soap-free wash cleanses skin of pollutants and impurities, leaving skin feeling fresh and cleansed. 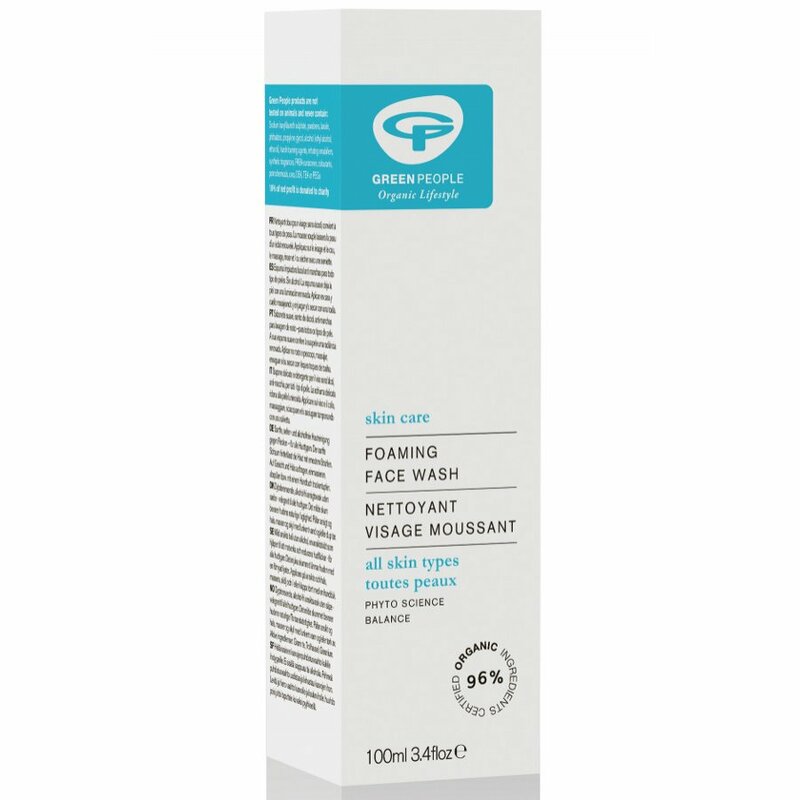 Containing organic Green Tea, Larch, Clary Sage, Witch Hazel, Bergamot & Rose Geranium, this face wash helps to balance the skin, preventing and reducing blemishes. Made without alcohol (ethyl alcohol, ethanol), SLS/SLES, Parabens, phthalates and artificial fragrances. 100% certified product, 96% certified organic ingredients. Directions for use: For use both day and night. Shake gently before each use. Apply Foaming Face Wash to moistened skin and massage gently into the face and neck. Rinse with tepid water and pat dry with a towel. The Green People Foaming Face Wash - Anti Blemish - 100ml product ethics are indicated below. To learn more about these product ethics and to see related products, follow the links below. I bought this for myself, but its a tiny bit to much on my ridiculously sensitive skin. However I have given it to my boyfriend and it has completely cleared up all the spots, red marks, oily patches, dry patches on his face, including under his beard. He loves it and has already asked me to buy more him. Thank you to Green People yet again for makign products that really work. Haven't used yet but all my other green people products are brilliant and highly would recommend this brand. I have combination skin which tends to have dry patches and can get spotty so the green people serum and moisturisers have been a god-send. I'm sure this will be the same. Lovely product, so easy to use. Leaves skin feeling fresh and soft. 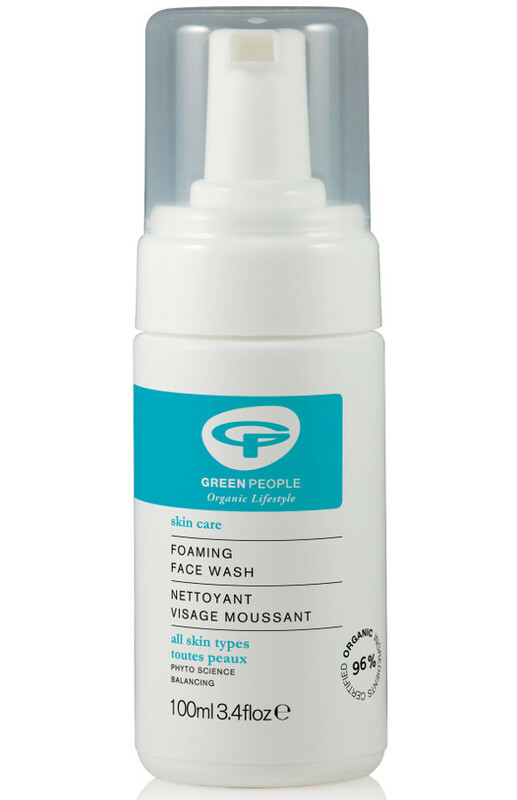 There are currently no questions to display about Green People Foaming Face Wash - Anti Blemish - 100ml.